WHY? Games are fun and motivational. They increase student talk time (production). use. They allow for repetition and proper scaffolding of the learning. WHERE? Flashcards of all conceivable sets and types are available as pdfs to all EFL Classroom 2.0 members. Or visit the EFL Classroom’s sharing area for vocabulary ppts that can be made into printable flashcard sets. can also just photocopy from books then cut these pictures up. 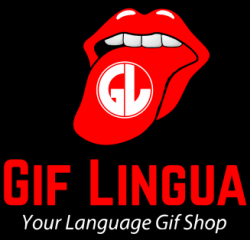 Register as a teacher on Gif Lingua and you’ll get the download button for all hundreds of books. Download the PPT and then print flashcards. you print and they don’t have labels – get your students to label them! in a controlled fashion. Or just as a fun, “activating” part of a lesson. TIPS? ** Laminate your “good” card sets. ** Keep in labeled envelops or zip lock bags. ** Set up your classroom so it is easy for students to be grouped or spread out. ** Have a strict set of signs and signals to manage students. ** Model the game in front of the whole class with a few students. Go slow! ** Get students to invent their own games! them lumped into some main categories. This is probably the most simple and repetitive type of game. There are many variations. a) Recall. One student shows the student(s) a flashcard and the others try to make a sentence or simply state the name of the card. The student “teacher” checks on the back label and if correct puts in a “correct” pile. If incorrect, it is set aside for review later. c) Concentration. There are two sets of flashcards. Either picture/picture or picture / word. Students attempt to turn over and match from both sets. If they do so, they may continue. The student with the most pairs at the end, wins. Here’s an online example. http://tiny.cc/MZwhY Many like this on our Game page. d) Snap. The cards are face up on the table. The teacher says a sentence and the first student to “snap” or slap the right card gets to keep it. The most cards at the end, wins. You can play this full class by putting large flashcards on the board and having students run up to the blackboard and slap the correct flashcard. Do you like …… / Do you usually …….. / Do you have ……. Did you ……… yesterday? Have you ever ……… ? Will you …… tomorrow? a) Go Fish. Use two sets. Students in groups of 3 or 4 ask each other questions using the target language. If the student asked has that card, they must give it and that student collects a pair. They may continue until they don’t collect. If a student runs out of cards, they pick up some more cards to continue. Most pairs at the end wins. c) Conversation prompt. There is one pile of cards in the middle. One student turns over a card and using the flashcard as a prompt – asks another student a question. That student responds with one sentence. The other students in the group must ask one follow up question each. When did you last ……? / Have you ever …….? / Do you prefer ……. Or ……….? If someone ……… , what would you do? / What do you think about ………? d) Find your match! Copy some flashcards in different numbers. 6 of one, 5 of one, 4 of one 3 of one etc… Give one card to each student. Using the target language on the board, the students must go around the classroom and find other students with a similar card. If they find a match, they link arms and continue trying to find others with a similar card. (Ex. “ I love ……. What about you? “ “Oh, I love …… . Bye.” ) Alternatively – students can choose their own response from the items brainstormed on the blackboard. Have them use a post it to create their own flashcard! e) The “You Can” Game. A person in a group turns over a flashcard. They must make a statement/sentence using “can”. Ex. You can …….. or An / A ……. can….. Continue around the group awarding a point for each statement. It is a thing that …. It is a place where …. It is a person who …. The first student to correctly guess it, wins the card. Most cards when time is up, wins. These games use flashcards to get students moving around the classroom and competing. a) Charades. Bring a student to the front of the class. Show them a flashcard. They must act out the object / action. The other students guess or a team guesses as many as possible in one minute. The next team tries to beat them. Make sure they use full sentences! (ex. He is an elephant!) . After a whole class demonstration, get students doing this in small groups. b) Pictionary. Same as charades only this time instead of acting out the flashcard, they must draw it. You can also have multiple teams drawing on the board – first team to guess the correct word wins. c) Telephone Whisper. Put your students in rows. Show the last person in the row a flashcard. They must make a sentence with an adjective (ex. It is a huge elephant) and whisper it to the next person. Continue until it gets to the front of the class. That student writes the phrase on the board. 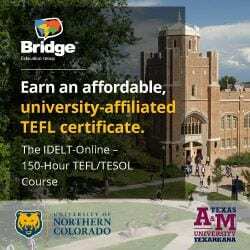 If it is a the same as the flashcard – a point is awarded. These games are for higher level students and give them an opportunity to use language in a meaningful and fuller manner. a) Story Dominoes. One stack of cards in the middle. A student picks up a card and starts a story, stating one sentence. The next student picks up a card and continues the story. And so on until the last card when the story concludes. Start again and see if the group can recall and repeat the story! b) Liar, Liar pants on Fire! Each student in the group gets 3 flashcards. They must make a statement about each flashcard and their life. One must be a lie. The other students guess which one is the lie. Ex. (for animals): I like crocodiles. / I have seen a giraffe in real life. / I have kissed a dog . Which is the lie? c) Making Connections. Use two sets of assorted flashcards. Spread them out into two groups. Students must make a sentence using a flashcard from both sides. Ex. An elephant (a) doesn’t like to swim(b). Continue until all cards are matched. d) Not like the others. Use a set of assorted flashcards. Students turn over 4 cards and put them face up in the middle. Students must make statements why one is different from the others using the phrase, A/An ……. is not like the others because …….. A point awarded for all logical answers. When students run out of statements, start with a new set of four flashcards. e) Discussions. Students turn over a card and state their opinion about the topic of the card. Go around the group with each student stating their opinion. Discuss. Here’s another teacher’s nice list of flashcard games/activities (but more for an L1 class). Next story English Central – Bringing “voice” and output to learning English. I worked hard to produce the flashcards that you stole and posted on your site. I’ve amended the post with a reference to your site. 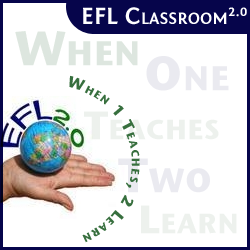 I spent some time looking at what is on EFL Classroom and after comparison, have deleted the Teachers Flashcard pack. But please note, this is widely available all over the web and without reference on the slides. Please let me know if there is anything else you take exception to and I’ll take it down immediately. I’ve referenced your site on each page just in case and have favorable reviewed it in the past, always with a reference. I’ll let your post stand with an edit for expletives.